Morgan Matheny is like most teenagers. The 14-year-old attends public school in Central Florida, plays basketball, and aspires to pursue a medical career. 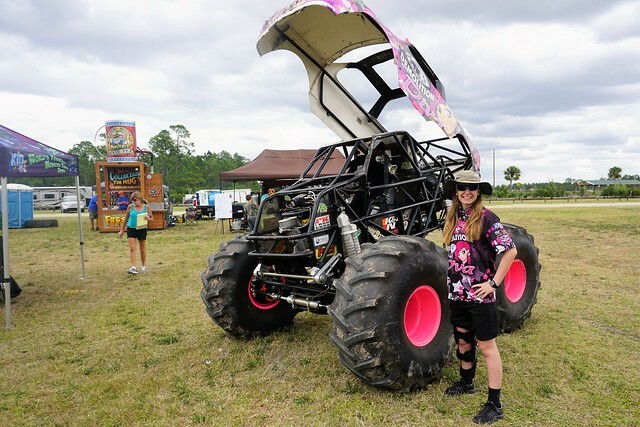 When not in school, chances are she’s buckled into Demolition Diva as her alter ego Mad Mo, paving the way for girls in pro monster trucks. Mini Monster Trucks. It’s a Thing. At the age of 9, Miss Matheny joined Team Kid KJ Pro Mini Monster Truck Team to become the world’s youngest female monster truck driver. Five years later, Mad Mo still takes to the tracks crushing cars, racing and performing in a field still dominated by males. A quick look at the Monster Jam website indicates out of 100 drivers, a dozen are women. Mad Mo and the Kid KJ Pro Mini Monster Truck Team rolled into Punta Gorda over the weekend for the inaugural Charlotte County Spring Festival and Race Day at Muddy Water Sports Park which included airboat races, truck pulls, BBQ cook off, hot chicken wing eating contest and of course, monster trucks. I confess, I have never seen a monster truck show and really didn’t know what to expect. 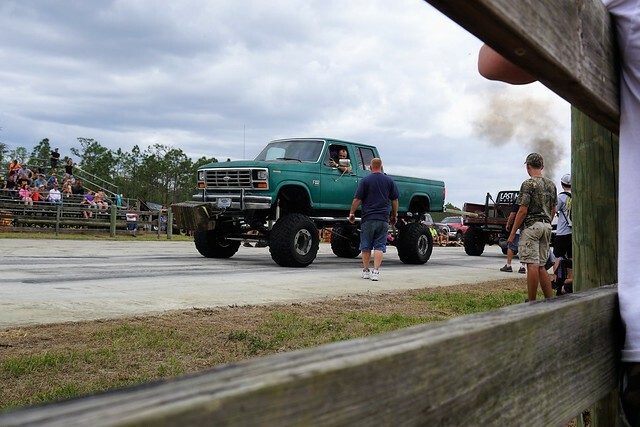 I have also never seen a truck pull (nor an airboat race but I missed that – darn!) so I’ve added more to my life experiences. 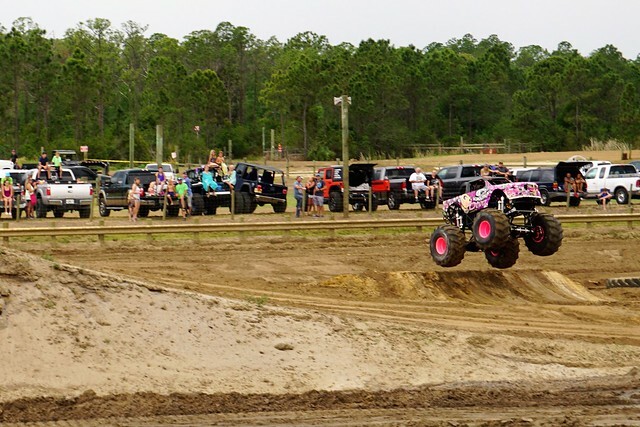 Of course, participating in a truck pull and perhaps riding in a monster truck, are on my bucket list. If you don’t know what a monster truck is, it’s a large pickup truck typically riding tall with oversized tires. Monster truck shows feature racing over hills and through puddles, performing stunts and crushing smaller vehicles. These behemoth vehicles can top 10,000 pounds and the pro mini monster trucks are half the size and about 2,000 lbs. Who inspires the Demolition Diva driver when it comes to monster trucks? There isn’t anyone in particular, “I go by the beat of my own drum,” she replied. What do her classmates think? Miss Matheny hopes to get into a big truck and pursue a medical career when she reaches the magical age of 18. I have no doubt, whatever she wants to do, Mad Mo will make it happen. Go, girl! Disclosure: This post contains affiliate links to support this blog, my traveling habit and my special needs dog.